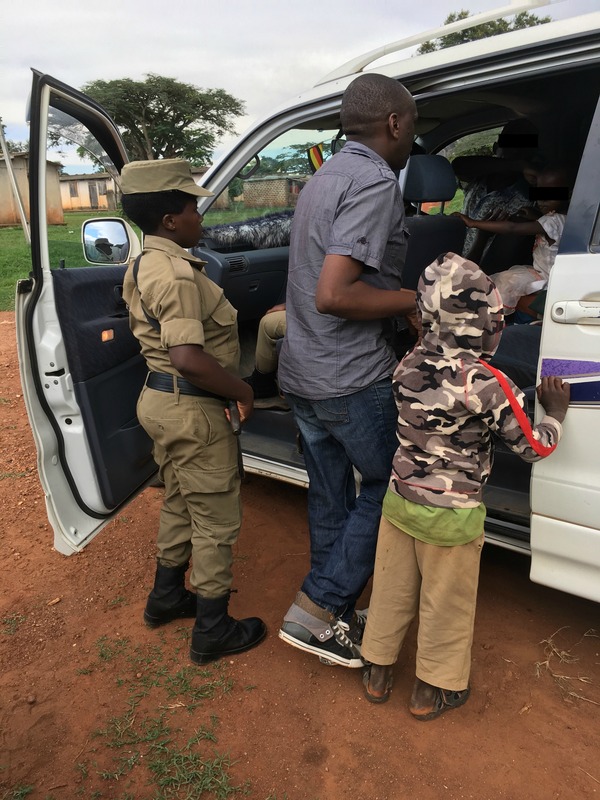 Just weeks after Engage Now Africa’s involvement in a High Court case in Uganda that resulted in a human trafficker being sentenced to 45 years in prison, ENA was able to assist in another rescue effort as Uganda police asked ENA to help rescue fifteen children from slavery. On March 22, 2017, Chris Gay, the Managing Director for Ending Modern Slavery at Engage Now Africa in coordination with partners Kyampisi Childcare Ministries and Freedom Now International assisted in a joint operation to locate and arrest several wanted human traffickers. During the ongoing investigation, Uganda police suddenly alerted ENA about a rebel group leader of the Allied Democratic Forces (ADF) suspected of trafficking children. This leader was on the Ugandan government’s most wanted list and is suspected of trafficking children as child-soldiers in the Democratic Republic of the Congo (DRC). ENA responded with the police on a rescue mission that discovered fifteen children. The children rescued ranged in age from one to sixteen with most of the children between the ages of three to seven. The building where the 15 rescued children were being kept. “We responded with police on a rescue mission and discovered fifteen children. Thankfully we happened to be in the right place at the right time… The fact is, our anti-slavery partnership is proving to be very effective in helping police locate and arrest many suspected traffickers, as well as, rescue victims from slavery over this past year,” said Chris Gay. The two alleged rebels arrested in conjunction with the Anti-Terrorism Police Unit are now in jail pending an ongoing investigation into their activities. The good news is that the fifteen children are now safe and recovering. They are all receiving professional counseling, medical services, and full-time care. In just a few days, smiles now shine brightly across faces that used to be so cold, hard, distant, and silent. Warm greetings are now being heard from the children, and hands are gently extended to greet the KCM rehab staff. Laughter can also be heard as the children play games and enjoy all the toys available to them. Police are now trying to locate the parents and family members of these children. This is an ongoing investigation with more information to come. WHO ARE THE ALLIED DEMOCRATIC FORCES? The Allied Democratic Forces (ADF), is a Ugandan-led radical Islamist armed group. The Ugandan rebel leader, Jamil Mukulu (arrested in 2016), set up this coalition in western Uganda. This group is considered a terrorist organization by government of Uganda and is reportedly supported by the Government of Sudan.